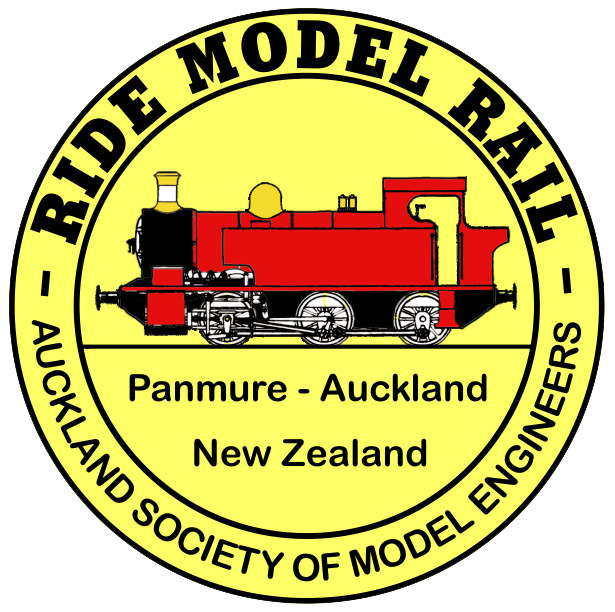 The Waipuna Miniature Railway is located at Peterson Reserve, off Peterson Road, off Waipuna Road, Mt Wellington (alongside the beautiful Panmure Basin) and is open for public train rides every Sunday afternoon from 1.00 – 4.00pm (weather permitting). The only exception being the 2 weekends over Christmas and New Year when trains do not operate. The railway is operated on a voluntary basis by the members and volunteers of ASME. On a normal Sunday a club locomotive pulls a train made up of two or three passenger carriages around the extensively landscaped and interesting track. Often a second club locomotive and sometimes member’s live steam locomotives, haul additional carriages around the track, adding variety. The journey starts and finishes at the station building “Waipuna Junction” and during the ride the train travels the cleverly designed track that gives the illusion of going on a long journey. Along the way the train will pass through tunnels and cross bridges and negotiate an elevated trestle section. Something to look out for is the large boat pond operated by the Scale Marine Modellers Club. Generations of Aucklanders have brought their children to the track for a ride on the trains and indeed today it is not unusual for family groups of Grandparents, Parents and Children to come and visit on a Sunday afternoon. The ASME railway experience is indeed one of Auckland’s best kept secrets. Train Rides cost $2 per ride or a concession ticket giving 6 rides can be purchased for $10. Concession tickets are not dated and if not used up can be used at a future visit to the railway. Please note we do not have an Eftpos facility, so make sure you bring cash along with you for buying a ticket. Tickets are purchased at the station. 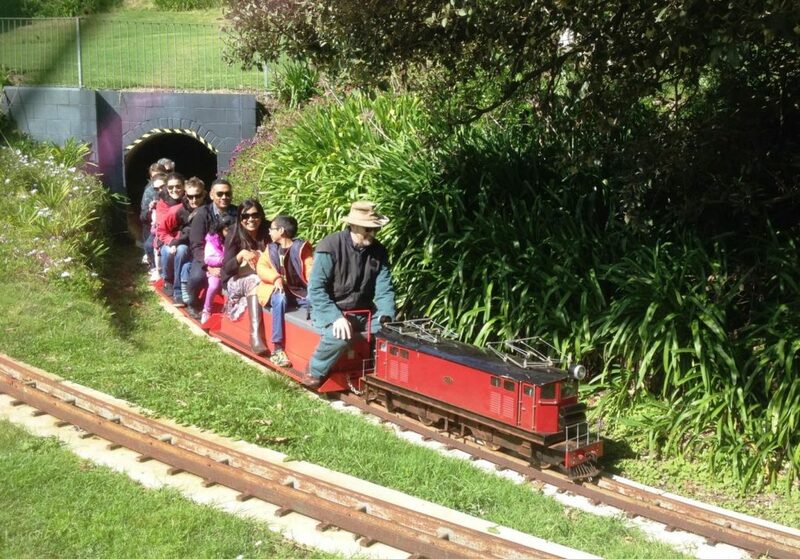 The Waipuna Miniature Railway is located at Peterson Reserve, Peterson Road, Mt Wellington, Auckland. The Reserve is accessed off Peterson Rd, off Waipuna Rd, alongside the Waipuna Hotel and Conference Centre. Turn into Peterson Rd and at the end, veer off slightly to the right and head down the Reserve driveway and come into the carpark. You will see the ASME Clubhouse at the right hand, top end of the carpark. The station is best accessed along the public walkway continuing on & away from the carpark, down beside the Panmure Basin. Train rides provide the basis of much fun for families; but wait there’s more. This council reserve has many areas where picnics can be set up, enjoying the view of the railway and the Panmure Basin beyond. Often there is a family occasion to celebrate – this is an interesting and alternative option for your next event. The Society receives many enquiries regarding running the trains for birthday parties for young train enthusiasts; we openly encourage parents wanting to hold birthday parties at the track for their young ones to hold them on Sundays at the track. As the trains and track are run entirely on a voluntary basis by the members of ASME, we regret that we cannot cater for private parties. The track is only open on Sunday afternoons from 1.00 – 4.00pm (weather permitting). As Peterson Reserve is an Auckland Council park it is open to the public. 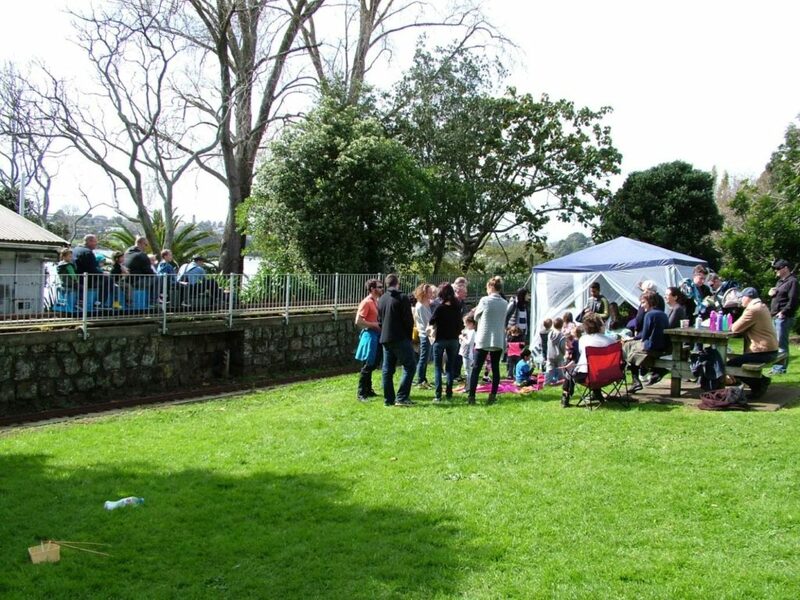 There is a large amount of grassed area suitable for picnics and family or birthday gatherings. There are a few picnic tables / seat fixtures within the track area, but it is on a “first come, first served” basis. What many parents do for a party is to purchase concession tickets on the day to cover train rides for the young (and not so young ones) and have a picnic with friends and a cake, etc. While there are many trees in the Reserve, bringing some portable shade is a good idea in summer. It is suggested that parents planning a birthday party should visit the track one Sunday in advance to plan their special event. Keep in mind Auckland’s changeable weather – it would be advisable to always have a Plan B in mind just in case to avoid disappointment should the weather be nasty on your chosen date. 3. Do not reach out to touch anything during the ride – (bushes & other vegetation as well as timber handrails can easily cause nasty injuries. Avoid the temptation to take photos or videos from a moving train – it is very easy to lose your balance or concentration with a risk of falling off). Please obey the instructions of the station staff and the engine drivers at all times. All of us at ASME want you to enjoy your ride and arrive back at the station safely. Operating the miniature railway requires a team of 4-5 people every Sunday between about 12.30 and 4.30pm. To learn more about how you could help, see here.